Whenever the weather changes in Sydney from freezing to slightly warmer (ie. Spring) I immediately reach for the florals… Which is actually quite funny as I’m not a typical ‘girly-girl’. I believe it’s possible to dress feminine yet still keeping a bit of an edge. One of my favourite things about Spring time dressing is wearing light, floaty fabrics- and this dress is no exception! I found this piece from LPA on the Revolve website and knew it would be a style that I could dress either up or down. 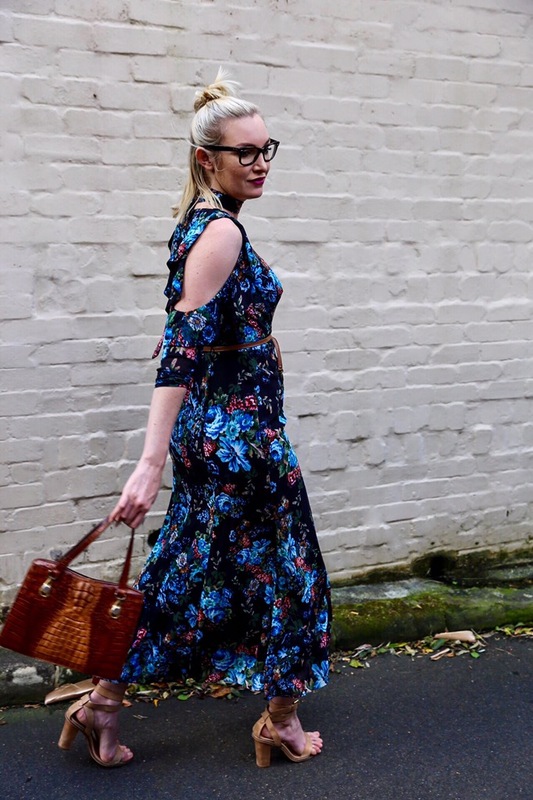 Versatility is always a key factor I consider before bringing home a new piece – can I wear this dress casual and then throw on a heel and take it into the night? If you are in need of another excuse to start shopping for your spring wardrobe, Revolve has the perfect incentive: Family & Friends 20% OFF + free EXPRESS shipping!!! What are you waiting for? Simply head to the site HERE and you are your friends can shop up a storm! The deal is easy, simply enter your friends email addresses when prompted and then you will all receive your discount codes. This offer starts today and will run until 3 October 2016 – so don’t miss out! Wearing: LPA Dress 7 (belt worn as choker), Vintage croc bag & thin leather belt, Ray Ban Wayfarers (yes, I actually need these to see – Blind as a bat! ), Casio vintage gold watch, Alias Mae heels.